Children who need glasses are always a special concern for their parents who worry both about the child’s willingness to wear the important corrective lenses and the safety of the frames during the rigors of school life. It’s natural to be torn between wishing they’d take off the glasses for sports and worrying about their safety playing without visual correction. On top of this, resorting to contacts isn’t an option for children below the age of ten. Fortunately, there’s an excellent solution to this age-old issue that will have your kids wearing their glasses all the time without risking a single crack or snap. Here are seven reasons to get your child prescription safety glasses or goggles for the upcoming school year. Kids love to get rowdy before and after school, and during recess if they’re still young enough to get it. They climb and jump off of things, swing too high, tackle each other in vigorous games of tag and tumble in clusters down playground slides. All this activity constantly puts a pair of glasses in peril and for a long time a parent’s best recourse was to simply keep the frames well fitted to minimize instances of slippage. With prescription safety glasses, you are relying on both a stronger frame and a tighter fit designed not to slip even during extremely rambunctious activity. Most kids enjoy playing sports games in PE and many get deeply invested in a school team, but this activity is rigorous and carries a steady risk of accidental tumbles and piles of children all going after the same ball. This helps them bond with their classmates, learn important teamwork skills and stay fit, which is why schools offer sports in the first place. Glasses can get in the way of this important physical engagement and can even discourage kids from signing up for teams they would have loved to join. With prescription safety glasses, you can be sure your child will not only be able to participate in all sporting activities, but also ensure that they will take no additional eye damage in the process. Some children absolutely love to swim and will join a swim team at the earliest possible opportunity. For the most part, kids with glasses simply have to accept that they won’t be able to see during any swimming activities and those who are uncomfortable without their glasses may choose to skip out on swimming entirely. You have an opportunity to provide your child with a better experience. Either secured safety glasses or prescription swim goggles can serve the same purpose, giving your child back their visual clarity during their favorite swimming events. This can help them boost both performance and confidence in swim team and among their peers during water-based activities. Band practice sounds harmless on a curriculum but any parent who’s been through it themselves or watched their child haul a trumpet across a football field knows better. Band is an incredibly physically active endeavor and involves a log more equipment than almost any established sport. If your child has joined band, they will be out in the hot sun running around with instruments and dodging the instruments of classmates for at least half the school year. Even if they are not old enough to play at high school football games yet, your children will practice maneuvers, footwork, and intense energetic musical performance and nothing could be more problematic in the middle of band practice than a pair of glasses knocked loose. 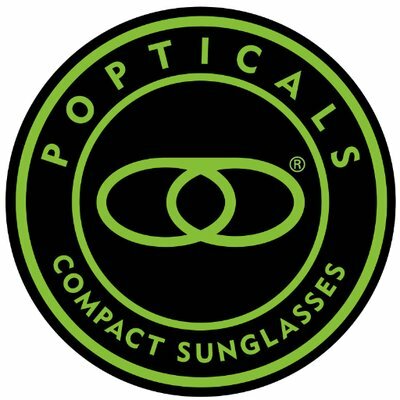 With prescription safety glasses, their eyes will be safe from the sun and their lenses will be firmly secured in place, minimizing all potential visual risks during their vigorous performances. If your neighborhood is safe, bicycling becomes childhood freedom. You can save time rolling through the pick-up and drop-off loop by allowing your child to bike to and from school with other kids from their neighborhood. The bike also allows them to go visiting within agreed boundaries and stay active during weekends and school breaks. However, the moment that bicycle and child are united, a parent accepts certain physical dangers. Even with enforced helmet and padding rules, there will still be scraped hands, knees, and elbows. To top it all off, kids will definitely try to jump curbs, build trick rams, and ride over uneven fields. This creates a myriad of minor crash scenarios and while your child can brush these off with a laugh, their glasses may not be so lucky. Naturally, you want your child to have the same bicycle based freedoms as their neighborhood friends in spite of visual impairment and, you guessed it, prescription safety glasses can help here as well. When you know the frames are sturdy and built to hold on, you don’t have to worry too much when you’re child tries to build bike ramps out of old plywood. That said, it doesn’t hurt to keep an eye on their wilder bicycling endeavors just in case a band-aid is needed in the near future. One of the great unifying traditions of neighborhood groups of children are scout packs and troops. Most scout groups allow parents to drop their kids off for a few hours a week while the children learn useful camping and crafting skills. However, not all meeting activities are macrame and fire safety training. Often there are great wild games and after-meeting play almost always gets a little rowdy. While kids love to learn scout skills, all that focus encourages them to romp and run around in the sunset once released. In this case especially, you want your child’s glasses to be safe and nigh unbreakable. No one wants to be the scout leader who has to deal with a broken pair of glasses and no parent wants to see a fun scout meeting end in tears. By investing in safety glasses or goggles, you can drop your kid off at anything from birthday parties to camping trips without having to worry about a tearful phone call halfway through because someone got a little too rowdy or stumbled at the wrong moment. As a final universal truth about parenting children with glasses: at least one pair will break. The younger your child starts wearing corrective lenses, the more likely it is that one or more pairs of glasses will have to be repaired. As lenses get tougher, the most common damage is a snapped nose bridge from a sudden impact or too many at-home fitting efforts. The best thing about prescription safety goggles for kids is that you will almost never have to worry about repair costs between new prescriptions, and you can probably re-use the frames until they have been fully grown out of because safety glasses are built to last. Near or far sighted, severe or mild impairment, no matter what your child’s visual prescription, they deserve the same play and extracurricular opportunities as their friends, neighbors, and classmates. All you need to make this possible is a pair of prescription safety glasses or goggles and a talk with your child about the new rules. When you explain to them how strong and secure the new glasses are, you may see a new sporty side to your child as they realize that their lifestyle of limitation was at an end. 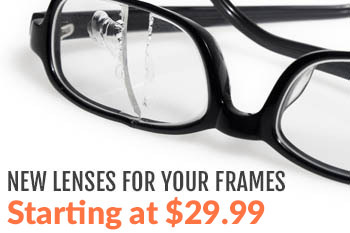 This school year, give yourself and your child the gift of no longer worrying about glasses based mishaps. For more information about prescription safety glasses or to consult on the right frames for your child, contact us today. Our vision safety experts are happy to help.